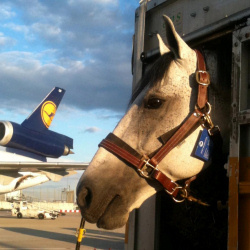 For the transportation of your precious horse, German Horse Center recommends renowned shipping companies that specialize in the global transportation of horses and with decades of experience. Import regulations differ from country to country and are often complex. The transportation agent ensures that all the regulations are met and organizes a smooth process. We would be more than happy to obtain a quote for transportation before or after the horse has been purchased, or you are welcome to contact one of the following contact persons. Peden Bloodstock has provided top quality international horse transportation services since 1947. The company is an official transport agent of the Olympic Games, the World Equestrian Games and many other events. Whether complex transportation projects of numerous world-class horses or individual transportation of your horse, every trip is carefully planned. Peden offers a unique full-service concept, which ensures a smooth process right through to the arrival of the horse at its destination. It also, of course, ensures that your horse complies with the regulations and customs rules of the origin and destination countries. The transportation is thus made as short and comfortable as possible for your horse. Bella organizes individual shipments as well as large-scale projects, such as the horse transport logistics for the Olympics, the World Equestrian Games and other FEI events. She has worked at Peden since 2004. As she has many years of riding experience, she can cater for the individual needs of customers in an optimal way. 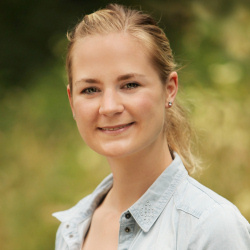 Stefanie studied Horse Management with a Bachelor's degree in the Netherlands. Since then, she has gained experience in the horse industry. She has been working at Peden since 2012 and organizes horse transports worldwide. She also has comprehensive knowledge of horses as she is an enthusiastic rider in her spare time. 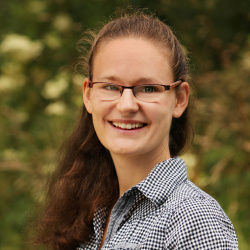 Since 2015 Tamara works with transport issues and project implementation at Peden. She previously lived in Hong Kong and also obtained a bachelor's degree in equine sciences in Vienna. In addition, she trained as an insemination technician in Neustadt/Dosse and gained commercial experience in the equine sector.